It's a tantalising time for Irish whiskey lovers. New distilleries are filling casks day after day, but those casks won't leave the warehouse again for years. We won't entirely go thirsty in the meantime but we must nevertheless dig deep into our reserves of patience as the whiskey matures. What might help is if we could each adopt a cask and look in on it every now and then to check how it ages, stealing a quick sip to make sure. 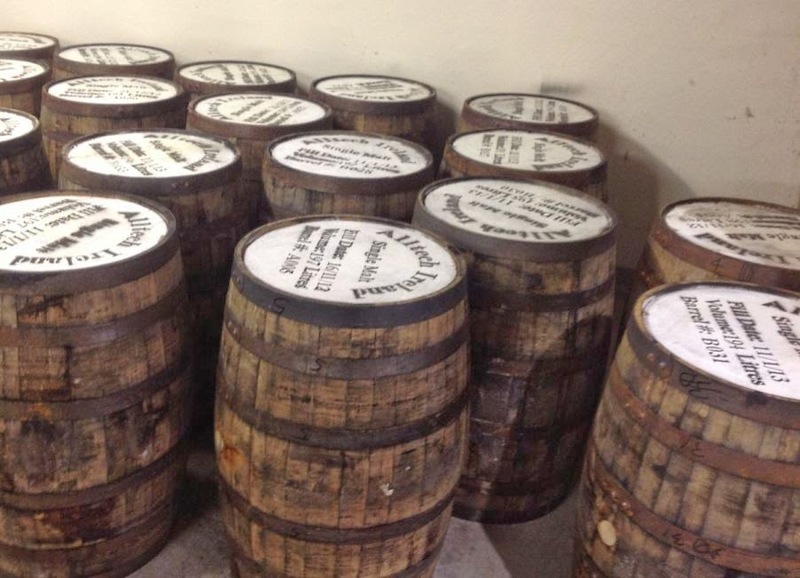 Alltech is now offering exactly that chance, to snag one of three hundred young casks right now. They are inviting you to meet the Master Distiller, and to personalise a cask which you will then be able to visit every year to taste. All the details are in this document (pdf). Filled casks waiting for you in Carlow. Photo courtesy of Alltech. Alltech has made an enormous impression on the whiskey and craft beer community in Ireland since they fetched up in Carlow with a couple of stills a scant year-and-a-half ago. They have the smartest, friendliest and most professional staff and are refreshingly open about their plans and ideas. They have hosted two huge conferences in Dublin that put potential brewers and distillers in the same room as still makers, maltsters, coopers, chemists, marketers, journalists and drinkers to network and trade knowledge. 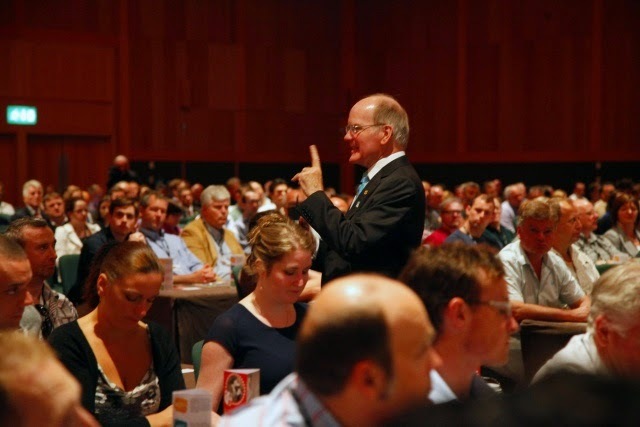 I listened to founder and president of Alltech, Dr Pearse Lyons, exhort the attendees at one of those conferences to make something great and Irish, and sell it to the world. I watched him walk around the exhibition floor, meeting and talking to people, figuring out how he could help them, or do business with them. Things happen when you fall into Pearse's orbit. It's an enlightened way of doing business that I admire: growing the industry as a whole through cooperation and sharing, while competing by making great products. I don't know what Alltech's Irish whiskey is going to taste like when it's 5 or 10 years old. That's the risk of investing in a cask. Think of it, perhaps, as a bet on an accomplished company and a talented team. I should mention that Dingle Distillery is still offering casks through its Founding Fathers programme. Dingle is another company with a fine provenance so what better way to hedge your liquid investments than by acquiring a cask from both distilleries.